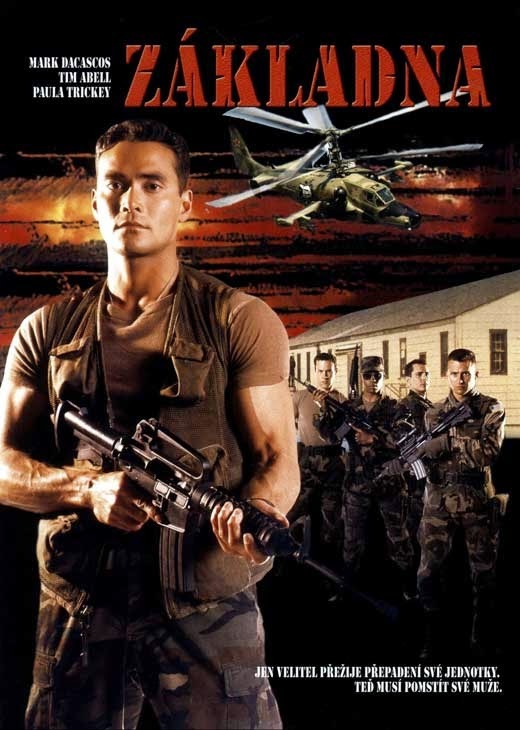 Maj. John Murphy (Dacascos) is a U.S. Army Investigator, and his higher-ups have assigned him a new and highly dangerous mission: go undercover and see what’s going on with Sgt. Gammon (Abell) and his small cadre of close personal followers. Gammon is suspected of drug-running, money-stealing, and perhaps even murder. Murphy is to track his every move, and report his findings to Lt. Kelly Andrews (Trickey). So Murphy shows up at THE BASE and, under the name of Cpl. Dalton, ingratiates himself into the group, and becomes one of the guys. But Gammon is very wily, and he may suspect something is afoot that could derail his evil operations. Murphy/Dalton is going to have to use every tactic he knows to defeat Gammon and his men - will he survive THE BASE? The Base has some good and worthwhile moments, and director Lester certainly knows how to stretch a low budget to get the maximum result from it. While the movie as a whole doesn’t feel all that substantial, there are plenty of blow-ups, gun-shooting scenes, and some fights along the way to liven things up. There’s even a tank/Jeep chase - how often do you see that? Plus, Dacascos is likable and clearly competent in the fight scenes. It makes sense that the fights are movie highlights when you see that the great James Lew was the fight coordinator (unfortunately, he doesn’t appear in the film). Plus, this may be Tim Abell’s best work to date. He really inhabits his character and is a solid baddie. And their hideout even has a pinball machine! Pretty sweet. By 1999, the classic era of DTV/action movies was over. Yet that didn’t stop Lester from directing a sequel to The Base, The Base 2: Guilty As Charged (2000) the next year. Presumably, enough people rented The Base at their local video store to warrant this happening. It seems kind of hard to justify, but there it is. 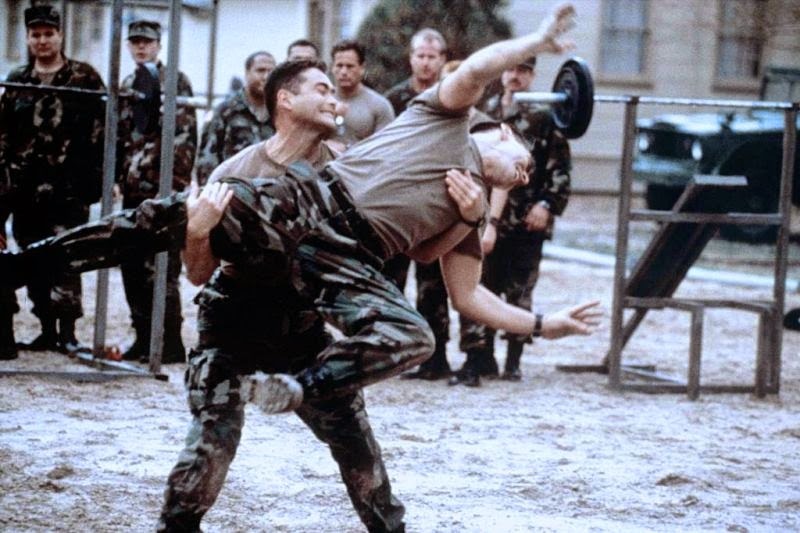 Even Dacascos was replaced by Antonio Sabato Jr. You don’t even have to watch the two movies back-to-back - just within the same general timeframe - and you will notice many similarities, the most glaring of which is the scene where Dacascos/Sabato shows up at the base and gets into a brawl on the training ground. ‘Sure, it depletes brain cells - let’s do it again!’ seems to be the overriding thought process there. So a lot of people get shot, stuff blows up, and people get beat up. Those are the highlights, and some stuff happens in between those scenes that you won’t remember. The Base is far from bad, but it lacks that extra dimension to put it over the top into being solidly good all the way around. Also check out write-ups from our buddies, DTVC and The Unknown Movies! I agree. Commando is arguably the best action movie ever made, and Mark L. Lester's movies are always worthwhile. The Base is a solid action movie as is its very similar sequel. One could say that movies by directors like Lester should form the base of an action movie collection. IS THERE ANY MENTION OF A SECRET INGREDIENT? Roger: Totally agree, Mark Lester has made some classics. We love Commando. Review coming soon. Joe: Thanks! Haha, the only ingredient he dished out was Pain!